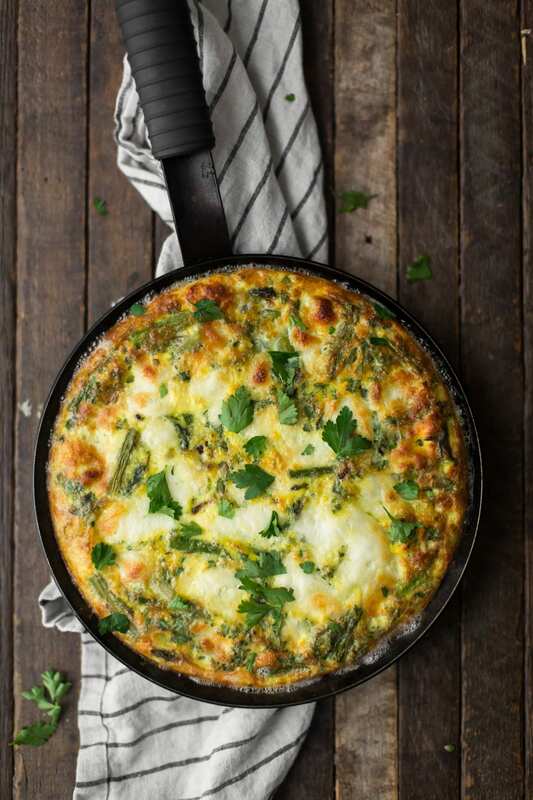 Asparagus Frittata with Herbs and Mozzarella | Naturally. There is hardly a better catch-all for vegetables than a frittata. I could easily riff on a frittata recipe every day (it was the frittata recipe that led me to creating all the base recipes for the cookbook). Raw, roasted, leftovers- most types of vegetables are welcome. This asparagus frittata uses a roasted asparagus mixture I use to make an asparagus soup. It takes a little longer to roast but the flavor is a favorite. Add more herbs as desired or swap out the cheese- both are easy ways to add more layers of flavor. 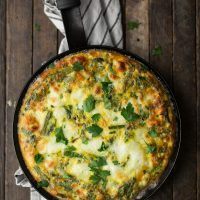 A perfect spring breakfast or brunch, this asparagus frittata uses pre-roasted asparagus and lots of herbs. Turn up the heat to 425˚F. Whisk together eggs, milk, herbs, salt, and pepper. Add remaining teaspoon of olive oil into an 8” high-sided skillet over medium-low heat. Pour in the egg mixture and let cook/sit for 4 to 5 minutes, until the bottom has started to set. Sprinkle the asparagus mixture on top of the eggs and top the frittata with mozzarella. Transfer to the oven and Bake for 15 to 18 minutes until frittata is completely set- it should be puffed and the cheese should be browning. Sprinkle with extra parsley before serving. 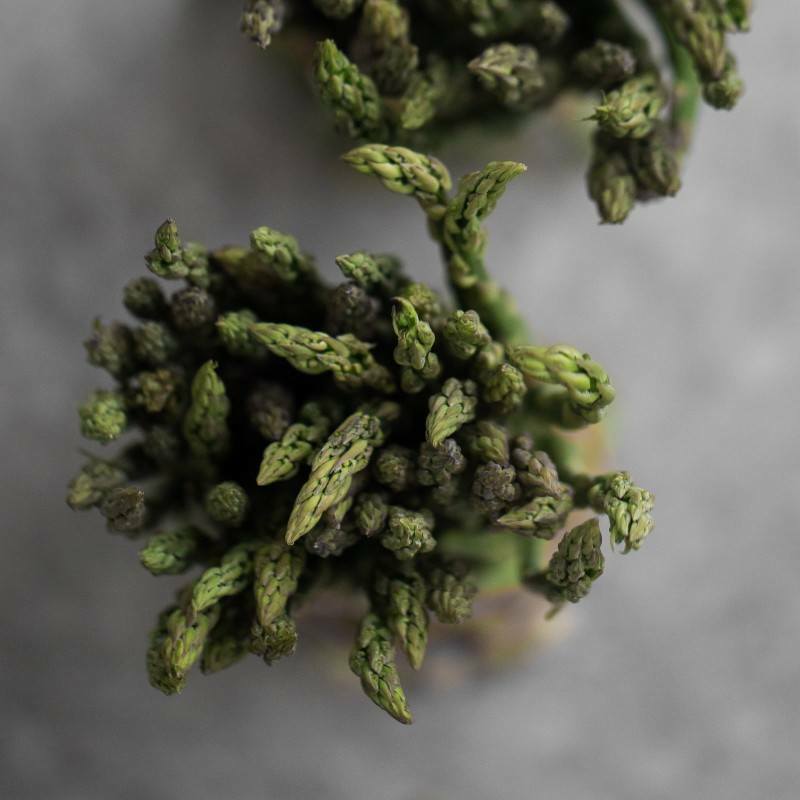 Tips & Tricks: roast the asparagus ahead of time to make the frittata faster. 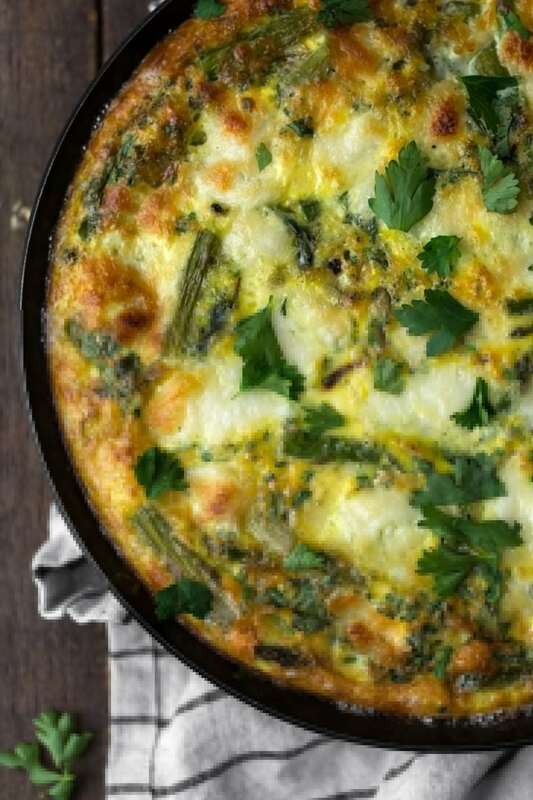 Spring Vegetables: Chop and wilt greens, such as chard or kale, to add the to frittata. Spring onions, green garlic, and garlic scapes are also wonderful additions. 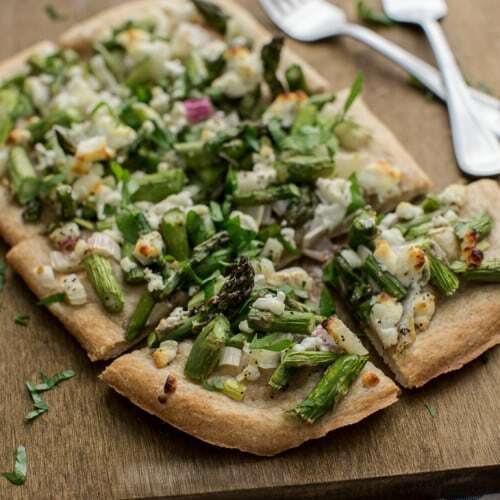 Cheese: I like the mellow flavor of the mozzarella with the asparagus and herbs. However, a stronger flavored cheese would be nice a well. Smoked gouda, goat cheese, or a mix of cheeses would be good. Quiche: Add a crust and turn this recipe into a quiche, similar to this kale quiche. Sandwiches: Cut up leftover frittata and place on toast or biscuits slathered with a bit of mustard. Crepes: Kind of like the sandwich, I like to stuff slices of frittata into crepes with a bit of melted cheese. 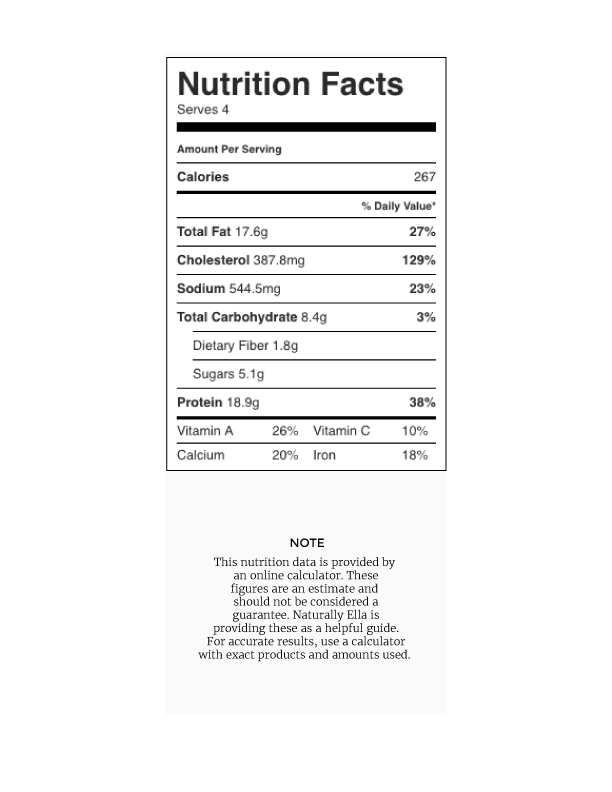 I absolutely love frittatas – and I fell in love with the green asparagus lately! We usually eat the white, thicker ones here in the Netherlands, but I’m trying to get my hands on as many green ones as possible. Love the photography! This is my dream dinner after a busy day ~ I just need a glass of wine and I’m a happy camper!